The Longchamp is far from De Tomaso‘s most famous model, as it is neither a Pantera nor a Mangusta. And the convertible (or Spyder) variant is so rare that most people who have heard of the Longchamp might not even realize a drop-top was ever offered. The Series II Longchamp went on sale in 1980, and the GTS variant debuted that year as well. It is set off from lesser cars with wheel arches and Pantera-like Campagnolo wheels. The top version, the GTS/E, went on sale in the mid-1980s and featured some styling changes (which are supposed to include round headlights, which this car does not have). Power is from a 5.8-liter Ford V8. Only 409 examples of all types were built between 1972 and 1989, with the coupe/convertible breakdown being 395 to 14, respectively. Very few were built in the last few years, and only a few GTS models were also Spyders. In fact, of the 14 convertibles, only three are GTS/E models. This is one of them, and it should sell for between $115,000-$140,000. Click here for more info and here for more from this sale. 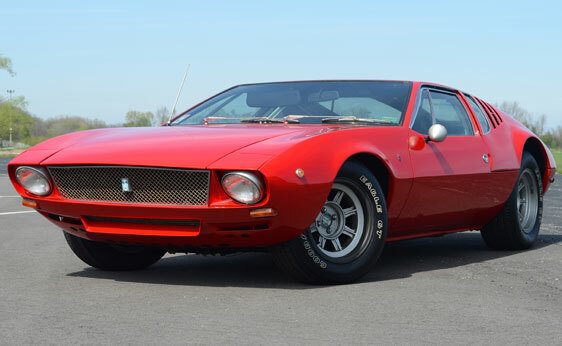 De Tomaso is best remembered for the Pantera, which was available from 1971 through 1993 (or, “an eternity”). But they produced other models as well, including the mighty Mangusta and exotic Vallelunga. When the Pantera went out of production in 1993, it was pretty out-of-date, technology-wise. 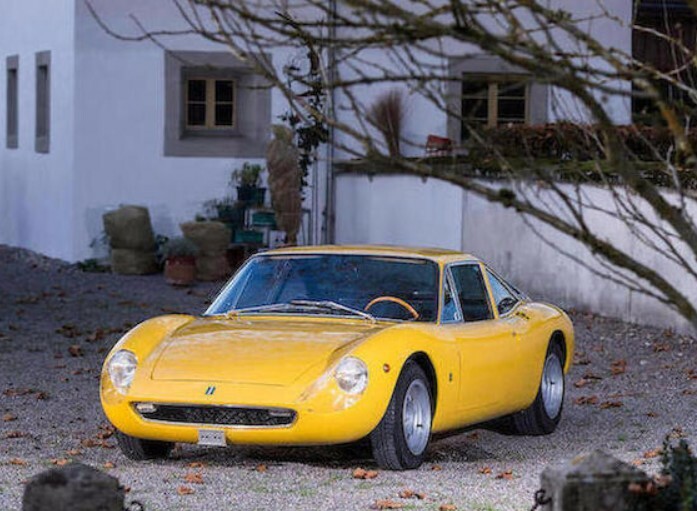 So when Alejandro De Tomaso introduced this, the Guara, at the 1993 Geneva Auto Show, it should’ve taken people by surprise that this small Italian company was entering the modern era with something that looked… well, modern. It sits on a Maserati chassis and uses a modified 4.0-liter BMW V8 that made 279 horsepower. The body is made of fiberglass, Kevlar, and other composites, keeping it relatively light. 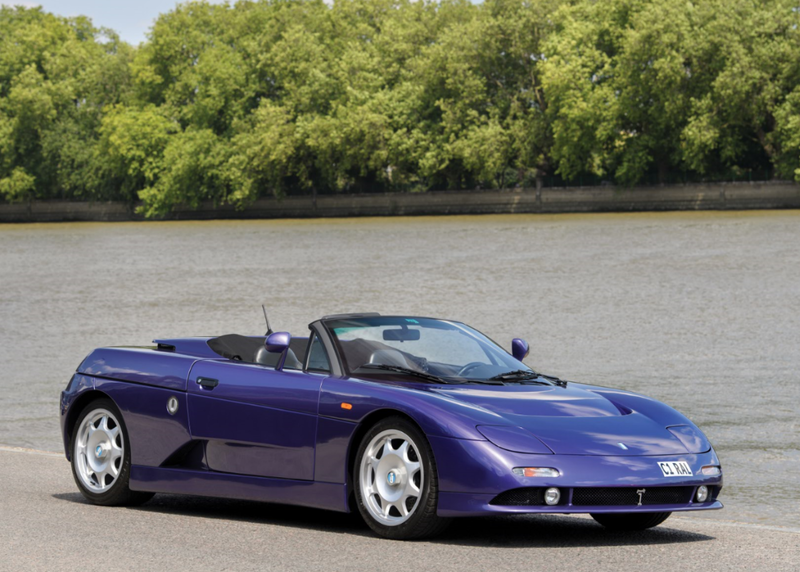 De Tomaso is no more, but they managed to build 50 Guaras, and only four of those were Spyders. This one-owner example in an awesome shade of purple should sell at RM Sotheby’s in London. Click here for more info and here for more from this sale. The Pantera is the car that Alejandro De Tomaso will always be remembered for. Styled by Ghia and powered by a series of big Ford V-8s, it was a raw combination of American muscle and Italian flair. It was an exotic you could buy at your local Lincoln-Mercury dealer in the U.S. The car went out of production in 1992 after undergoing a slight restyle from Marcello Gandini, founder of Bertone. Gandini is responsible for great supercars like the Lamborghini Miura, Countach, Diablo, Bugatti EB110, and the Lancia Stratos. 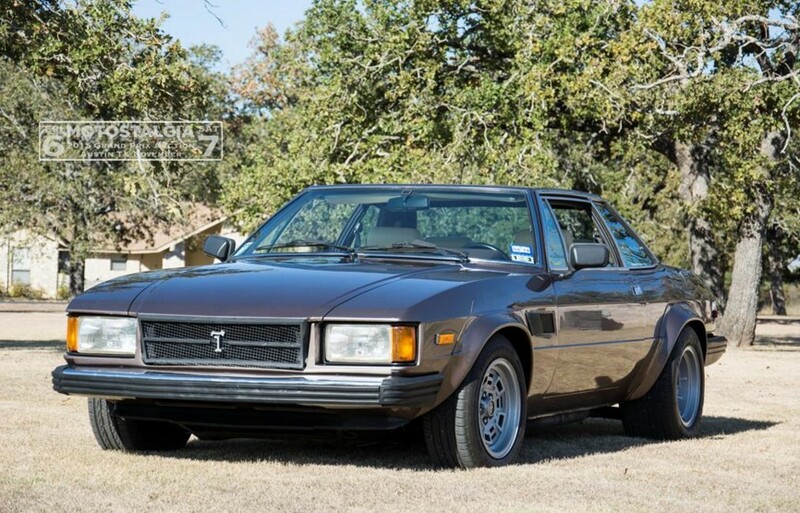 After the death of the Pantera, De Tomaso only managed to produce small batches of cars for the next decade and De Tomaso himself passed away in 2003. But the aura of the Pantera always lingered. So it was in 1999 that De Tomaso teamed up with Gandini to produce a new Pantera for the new millennium. 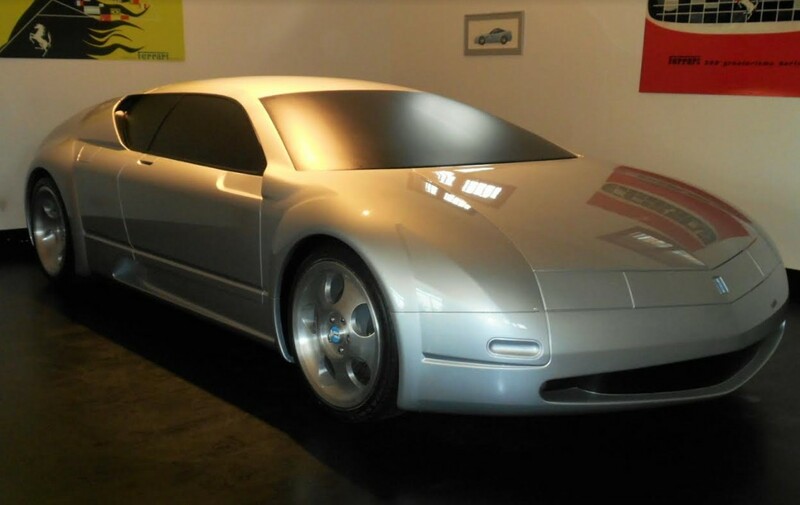 The car was to celebrate 40 years of De Tomaso and it was presented near the end of 1999. It was a design study and is pure concept car. There’s no running gear or interior, but if you’re a collector that wants a piece of “automotive art” as the showpiece of your collection, look no further. This is currently for sale in Italy, and here’s a video of its exterior. Update: Sold, RM Sotheby’s, London 2017, $25,348. 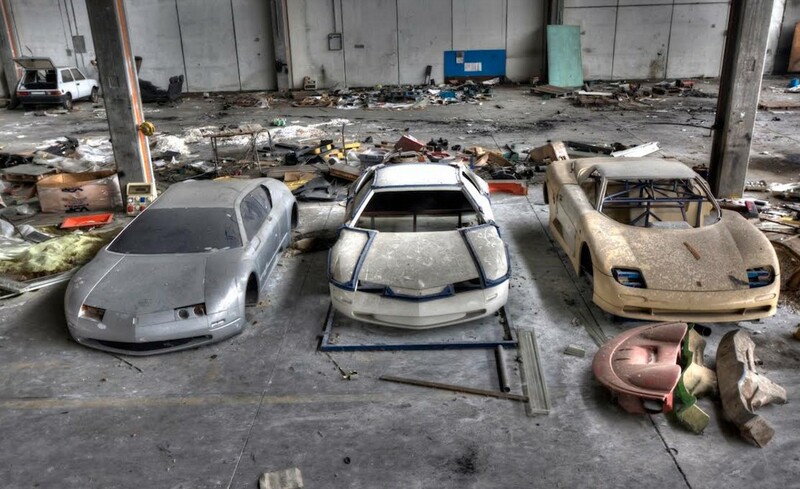 Alejandro De Tomaso’s little car company – that lasted an impressive 40+ years – built a number of cars over the years, most famously the Pantera. But a decade before the Pantera debuted, De Tomaso introduced their first road car, the Vallelunga (named after a race track near Rome). Built between 1964 and 1968, the Vallelunga is powered by a rear-mid-mounted Ford 1.5-liter straight-four making 104 horsepower. The body, built by Ghia, is fiberglass and the whole car only weighs 1,600 lbs. This particular car had an extensive restoration that was completed prior to the 2004 show season. 50 road cars were built (along with three prototypes and five racing cars). It’s quite rare and should bring between $360,000-$410,000. Click here for more info and here for more from Bonhams in Monaco. Argentine Alejandro De Tomaso’s car company is most well-known for its Pantera sports car. Some people are familiar with the Mangusta, as well, but there were a number of other, lesser-known models that were produced over the years. Like this, the Longchamp. 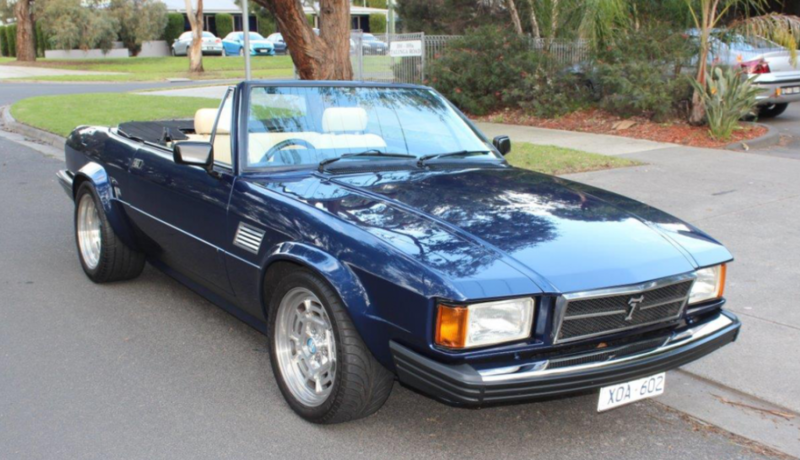 Offered as a two-door coupe (and aftermarket convertible), the Longchamp was produced in limited numbers between 1972 to 1989. That may seem like an eternity, but De Tomaso was never the most financially sound company and only a handful were built in the later years. Power in this car is provided by a 330 horsepower 5.8-liter Ford V-8. Other engine options were available depending on what year it was. This all-original example is one of only 395 closed coupes that were built. With non-conformist looks and a nearly 150 mph top speed, this car is both a head turner and performer. It should sell for between $45,000-$55,000. Click here for more info and here for more from this sale. That it is called a “Mangusta” – which is Italian for mongoose, renown killer of cobras – is, perhaps, a bit optimistic. This car was certainly not going to take on the Shelby Cobra in any competitive way, shape or form (apparently Alejandro De Tomaso and Caroll Shelby were friends, so it wasn’t named out of spite. Perhaps just arrogance or a friendly rivalry?). But none of this is to say it isn’t great, because it is. The common traits of Italian supercars include (but are not limited to): an engine mounted in the middle or rear of the car and some sort of ridiculous styling feature. It must also be hideously expensive. This car marks two and a half of those boxes. The engine, in this case the American-only 5.0-liter Ford V8 making a somewhat sad 220 horsepower, is mounted behind the driver (Europeans got a 306 horsepower 5.7-liter Ford V8). And the over-the-top styling feature? How about twin doors to access the engine that fold upward – gullwing-style. With regard to expense, the car was very expensive to build – almost prohibitively so. Only 401 were made before it was replaced by the less costly Pantera. Of those 401, only about 250 still exist. This is a 36,000-mile car with power windows, air conditioning and four-wheel disc brakes. These are definitely cool – cooler than a Pantera anyway. And it can be yours for $75,000-$100,000. For the complete lot description click here and for the complete lot list, click here.